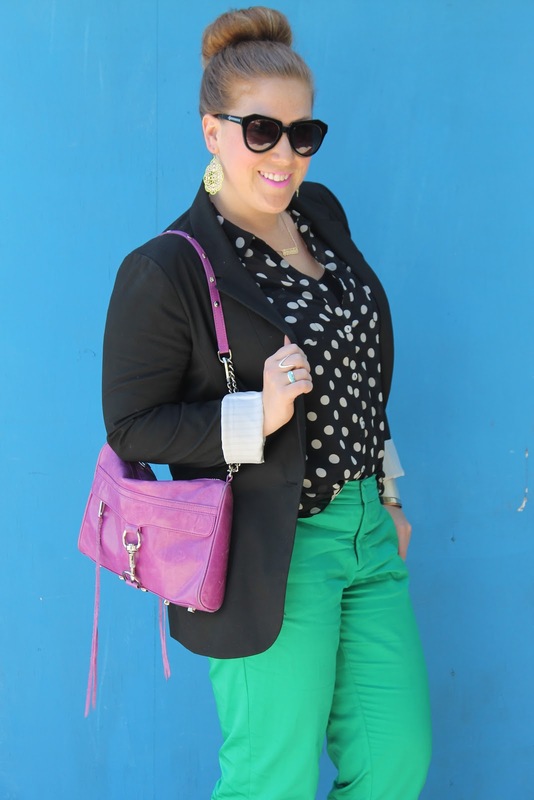 As much as I love my mass amounts of printed and colored denim, lately I've been looking for a more classic pair of trousers in a bold, fun color of course. On my most recent toothpaste trip to Target, I aimlessly wandered (uh, huh, yeah right, Amanda) to take a peek at the clothes, and was thrilled when I spotted the colorful trouser rack! They had almost every color and I am thinking I need to go back for more. :-) I love the cropped length and the slouchy style...minus all my wrinkles from sitting at my desk all day- whoops! You are wearing everything that I love! 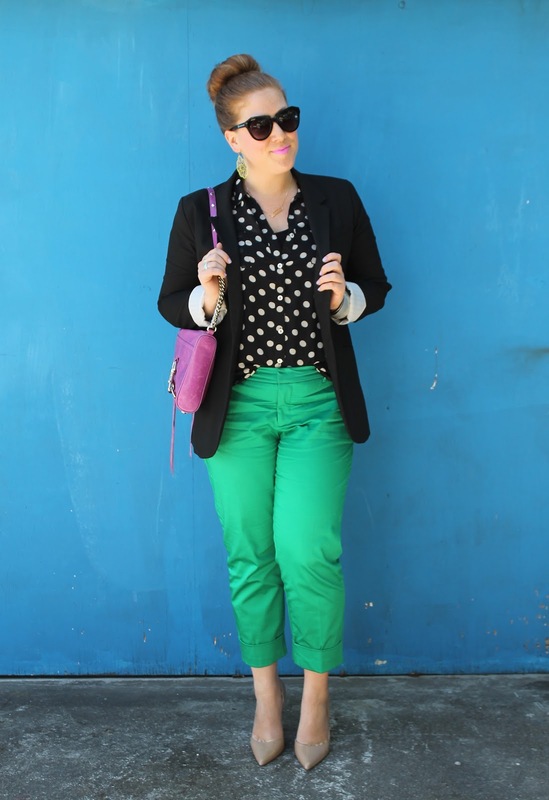 Coloured trousers, polka dots, Rebecca Minkoff and a top knot. So perfect! 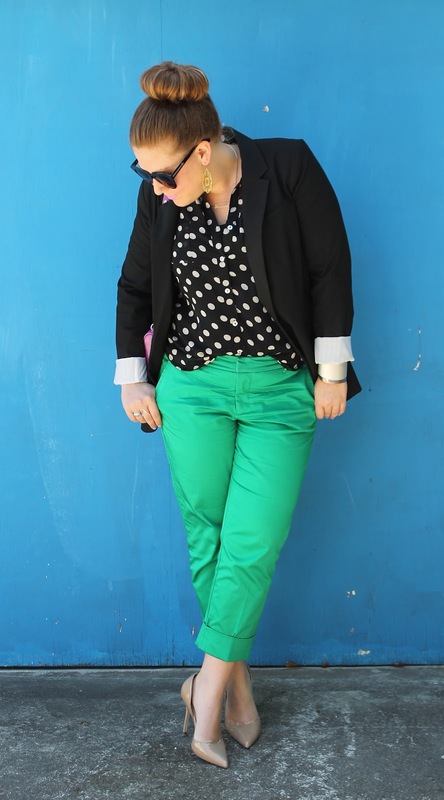 Everything is better with Polka Dot's! Great Combo! Those pants are so flattering on you. I love that you're not afraid to wear more than one bold color AND a bold lip! Gorgeous! Hi!! 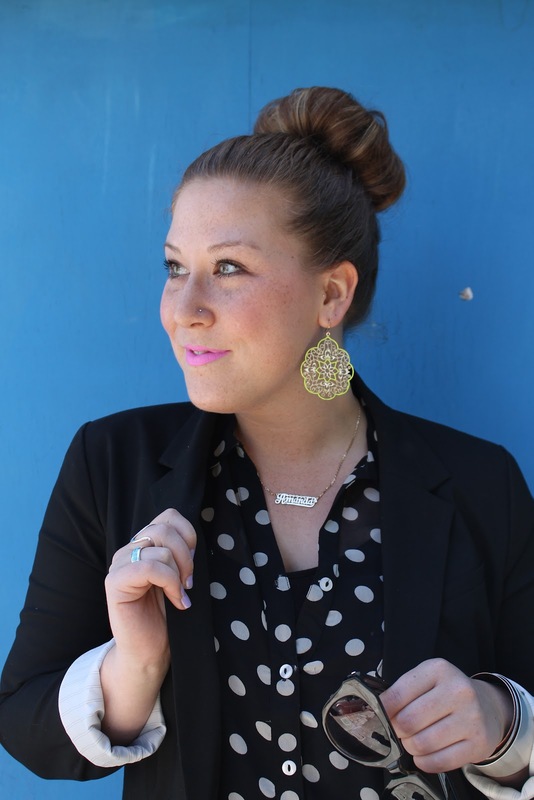 I just found your blog through Life ect... and I absolutely love your style!! I'm now following via gfc and bloglovin'. I just love your style so much I have to follow through both :) I would love for you to visit and if you like, follow my blog too! Target gets me every time! How cute are you with your ballerina bun and polka dots! What a fun outfit! Really cute! 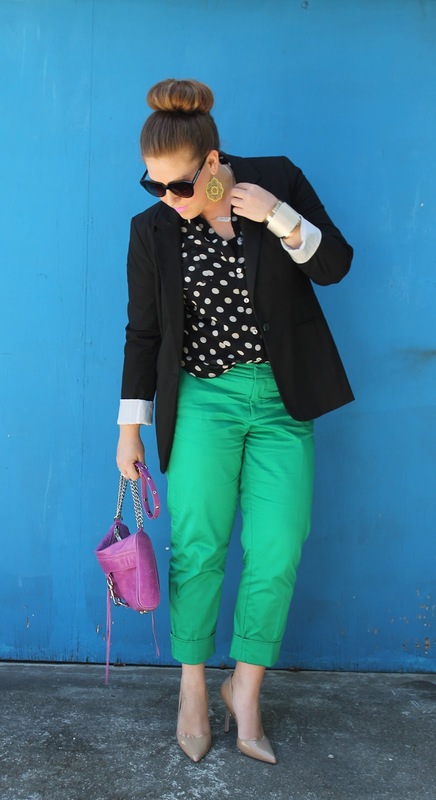 I love colorful trousers or capris! I used to have a coworker where we both seemed to dress alike all the time and we NEVER planned it. Too funny!